Premium glossy photo paper dries instantly. Highest color gamut available provides the most vivid colors. Enhanced 2880 dpi printing offers the highest possible detail. 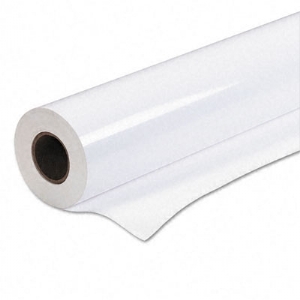 Sheet Size: N/A; Roll Size: 36" x 100 ft; Paper Finish: Glossy; Sheet Thickness: N/A. Premium glossy photo paper wide format rolls. Highest color gamut available provides the most vivid colors. Enhanced 2880 dpi printing offers the highest possible detail. Ink is immediately dry to the touch after printing.